We are experts in web handling machinery and web finishing. Our background with the Didde and Harris web offset presses, provide us with a vast resource of solutions for printing and web finishing applications. We offer a variety of custom engineering services. If you are looking for a company that can take an idea and turn it into a quality, cost effective product, GSS is your answer. If you desire, GSS can also manufacture the product for you in our modern facility. GSS has designed and manufactured custom inkjet presses for large equipment suppliers such as Kodak and HP. Our experience and dedicated custom engineering team were integral in the production of HP and Kodak’s flagship presses. As a company, GSS has design and manufactured our own presses, rebuilt and restored older equipment, and provided auxiliary, finishing, and handling equipment for numerous presses.  GSS takes this experience and turn it into a vast set of resources and knowledge to serve as designers, manufacturers, consultants, and partners in all kinds of engineering needs. To learn more about the services GSS offers, choose from the options below, or contact us today.